As one of the world largest producers of underwater pelletizer knives, AQS understands the relationship between what is being cut and the material used to cut it. 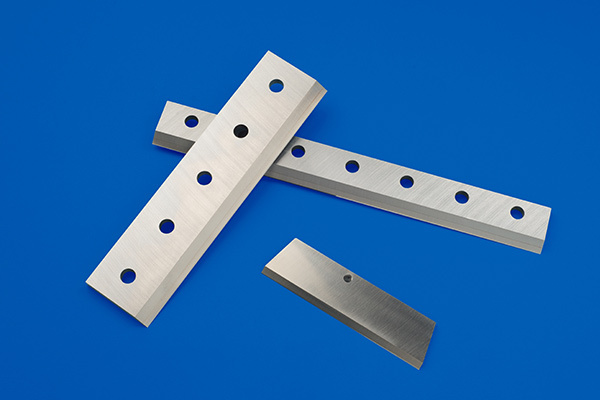 We also understand the important relationship between the material and the hardness of the blade vs. the material and the hardness of the die plate. If the pelletizer knife is too hard compared to the hardness of the die plate, then the die plate can be damaged by the knife, resulting in inconsistency with the size of the pellets. The cutting combination between the pelletizers and the die plate must be mated to optimize the strands to be pelletized. Our pelletizers are used worldwide. We supply multiple styles of these pelletizer blades in accordance with the OEM standards. Our main focus is on underwater pelletizer knives. The nature of underwater pelletizer machinery requires each pelletizer knife to be consistent in dimensional accuracy. If they are not accurate, they won’t work. AQS has been manufacturing these pelletizer knives for the past 15 years. There is no one in the industry that can compete with our product. We are the premier supplier to Gala/Maag Industries for these blades. While we cannot supply Gala/Maag blades, we do have a variety of other OEM spec pelletizers in our inventory available for purchase. We also have the ability to custom manufacture these pelletizers in accordance with our customer’s requirements. Our staff will advise you on material selection and offer engineering advice if requested. Our ISO:9001 certified facility guarantees that these blades will be made to the print or samples provided so you can count on the quality and consistency throughout the life of the pelletizer knife. This necessary harmony between the pelletizer knife and the die plate has been perfected through many years of experience with machine builders within the industry. American Quicksilver’s almost 20 year exclusive relationship with the premier OEM for underwater pelletizers Gala/Maag Industries has enabled AQS to develop a wide material and designs to help minimize “burn in” time of the pelletizer knives, length of service of the knives, and overall pellet quality.